The TA700W with TCMSV3 software is designed to be the most user friendly, convenient and efficient system. 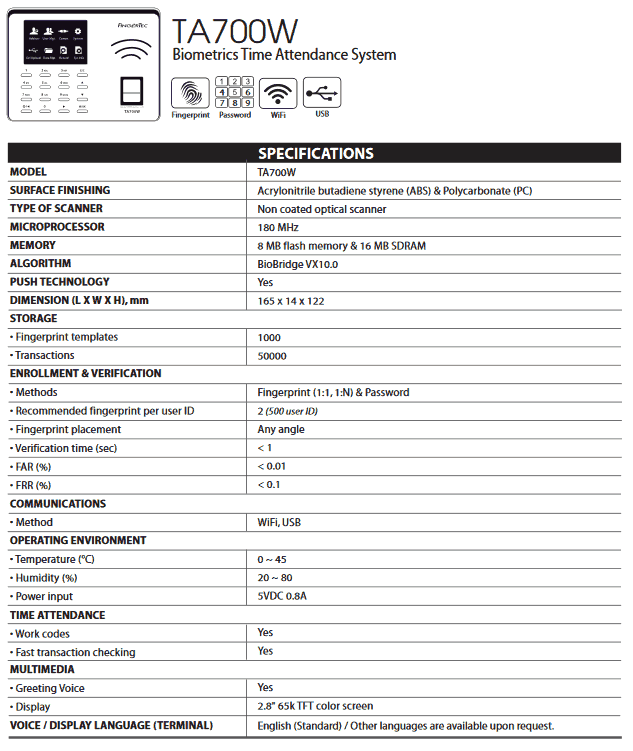 Fingertec TA700W is an elegant biometric scanner with WIFI capability. 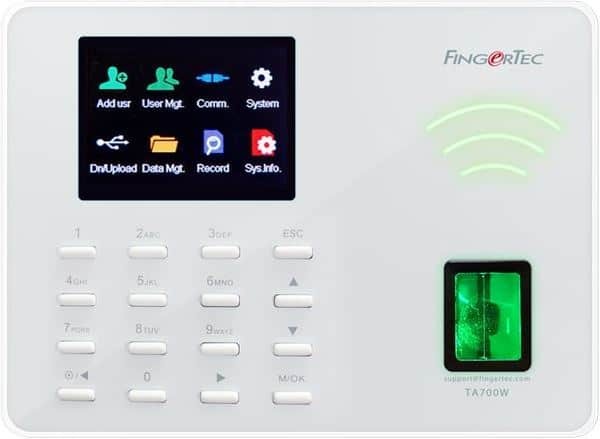 The Fingertec TA700W is a great solution for staff Time and Attendance tracking. PLEASE NOTE this is a DIY System that comes with PDF setup manual and training video.